NFL Game Pass is the cheapest and most versatile NFL streaming services on the market. In this NFL Game Pass review, I'll evaluate the best and worst features of this NFL streaming service and help you determine if the NFL Game Pass subscription cost is worth it for the upcoming 2018 season. 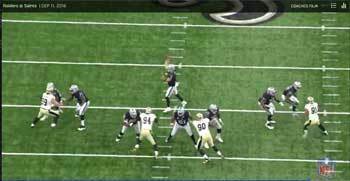 The NFL Game Pass online streaming service provides instant access to live preseason games and same-day access to all other games throughout the season. Game Pass puts NFL fanatics and fantasy football enthusiasts in the GM seat with DVR-like controls that make finding the best football action quick and straightforward. In addition to live and archived football games, subscribers get access to the NFL Films archive, audio-only feeds, multiple game viewing angles, and more. The NFL Game Pass price makes it a bargain compared to other NFL streaming services. You can even try NFL Game Pass trial for free . Live preseason games and same-day access to all other regular season games. Watch games on TV, smartphone or tablet, & most other connected devices & consoles. DVR-like controls, condensed games, multiple viewing angles, and hometown announcing. Watch every NFL game replay for less than the price of a stamp. Who would benefit most from Game Pass? How much is NFL Game Pass in 2018? How does NFL Game Pass work? Does NFL Game Pass include playoffs? How long is the NFL Game Pass free trial? How do I get NFL Game Pass? Can you watch live games on NFL Game Pass? When are NFL Game Pass replays available? What games are blacked-out in Game Pass? This NFL Game Pass Review is an in-depth analysis of what you can expect from the NFL's most affordable streaming service (warts & all). I'll talk about all of the impressive things that Game Pass has to offer and, when appropriate, where it might be lacking. The 2018 Game Pass package is chock-full of fantastic features that go beyond merely the ability to watch NFL game replays. This video highlights some of the NFL's plans for Game Pass in 2018. These are what I consider to be the best and worst features of NFL Game Pass in 2018. When it comes to watching preseason games, the vast majority of NFL fans are limited to watching their hometown teams (if they're not blacked out) and nationally-televised preseason games. NFL Game Pass preseason games (even out-of-network games) are made available to you in real time. For NFL fanatics, the preseason is an ideal time to evaluate the talent on the teams of your conference and division rivals. And for fantasy football owners, this provides a great way to appraise players that we might consider moving up our draft boards. NFL Game Pass preseason games are available in real-time but are subject to blackout rules. As such, you won't have access to preseason games that are available on nationally televised broadcasts in your area. Later in this Game Pass review, I'll detail how NFL blackout rules apply to this service. The one drawback of NFL Game Pass is that you don't have instant access to all regular season games for the current NFL season. But how long after a game do you have to wait for the replay? Although you don't have instant access to games, Game Pass does provide same-day access to all regular season games, playoff games, and the Super Bowl. So when are replays available on the Game Pass platform? If you're like me and this sounds like an insanely fair deal for the price, try Game Pass for free. Do you love NFL football but hate the commentating and dead time between plays? The NFL Game Pass Condensed Games feature allows you to watch all of the real action (from snap to tackle) in around 45 minutes. If you're in a hurry or want to get the full game experience in as little time as possible, you'll enjoy this unique option in Game Pass. It is also an efficient way to evaluate fantasy football talent if you plan on watching multiple games in one sitting. Watch NFL Game Pass games in under 45 minutes by clicking on the Condensed button on the target game in the Game Pass control panel. NFL Game Pass recently added a Coaches Film feature that adds two new viewing angles for every play. You'll have access to the same film perspective that coaches, GMs, and commentators use to take in all of the action. If you're evaluating a particular player or player grouping, this is invaluable as you can isolate these individuals on every play. These players will never disappear off of the screen so you can evaluate them from start to finish. With NFL Game Pass Coaches Film, you'll see each play replayed twice in succession. First, it will be displayed in the All-22 angle, then again using the High Endzone angle (with the offense facing the camera). The two images below illustrate the viewing angles available using the Coaches View feature. As you can see, these two new perspectives are great for evaluating players that are close to the play as well as DBs that are far from the ball. With these two angles, you won't miss a thing. Check it out for yourself. The search results contain every passing play involving New Orleans Saint Michael Thomas. From here you can either watch a specific play or view the search results as a playlist by clicking the film icon (circled in the image below). Playlist plays are always shown in chronological order. If you're a fantasy football owner looking to gain an edge, you should be able to see how powerful a feature like this can be. Just search for the players you'd like to evaluate, start a playlist, and start taking notes. Very cool. The preseason is the perfect time to try out Game Pass. Fantasy football drafts are right around the corner! NFL Game Pass replay options are simple and intuitive. Simply select the desired NFL season and target week. Every game is available for every archived season, from the preseason through the Super Bowl. The games you request will appear in a grid, but initially without the final score displayed. This is so you won't see any spoilers if you're planning on watching multiple replays and don't want to know the final scores yet. If you enable the "Scores" setting, the games displayed will show the final score and highlight the winning team. The archive of games in Game Pass is huge. If you like to watch old NFL games, you'll never run out of game film. Back in 2015, Game Pass merged with NFL Audio Pass, a service that allowed subscribers to access game archives strictly in audio format- no video If you like to listen to games while you're running or working out, this will enable you to listen to games while using only a fraction of the bandwidth required to stream game video. To listen to the audio-only version of an archived game, hover over the target game and click on the Listen button. Please note that NFL Game Pass audio only mode is not available on some devices. Any football fan can tell you, NFL games called by their hometown commentators are so much more enjoyable. In addition to hearing the voices and personalities that you're accustomed to, hometown broadcasts frequently include sideline reports and player updates that aren't integrated into the televised program. When listening to any game in audio format, you can choose between listening to the game from either the Home or Away team's perspective. Just choose the option relevant to your team, and you'll enjoy the full game audio from your favorite hometown personalities. Game Pass isn't for everyone. Some people need the instant gratification of watching every game live. Unfortunately for these fans, they'll have to pay up for an expensive service like NFL Sunday Ticket. So what kind of NFL fan would benefit the most from a service like Game Pass? For the NFL fan who loves keeping up with all of the action across the entire league, you can't get much better than Game Pass. The ability to watch condensed NFL games means you can practically stay current with every team throughout the NFL season. The ability to watch live preseason games means fantasy football owners can actively scout before their fantasy draft. 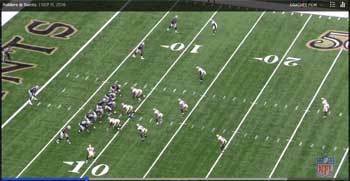 The two new viewing angles provided by Coaches Film make it easier than ever to evaluate players on your cheat sheets. Once the seasons starts, you can continue to scout players on your league's waiver wire. The Play Search feature allows you to isolate those plays that involve a particular player, making it much easier to evaluate and prioritize your waiver requests each week. If you are an NFL fan but work a Sunday afternoon or night shift, you're unfortunately going to miss the vast majority of games each NFL season. If you find yourself in this predicament, NFL Game Pass is worth its weight in gold. If you plan on watching multiple games after their broadcast, you can even turn off scoreboard notifications during the replays. This way, you won't see the scores for those games before you get a chance to watch their replay. How much does NFL Game Pass cost in 2018? At its most expensive, the NFL Game Pass price is $99. However, NFL Game Pass prices will likely fluctuate as the 2018 regular season progresses. In past years, Game Pass pricing started out at $99 on August 1st and dropped in price (by $10 every month or so) until it settled at $49 at the beginning of the NFL offseason. So the price of Game Pass is prorated as the season progresses. If you're wondering about the prices for an NFL streaming service called NFL Game Rewind, you'll be happy to know that this service is the same as GamePass. If you consider that there are 256 NFL games played every season, you're looking at the cost of roughly $0.39 per game (not counting playoff games or the Super Bowl). So the cost to watch an archived NFL game, on the same day it is played, is less than the price of a stamp. If you're like me you'll only catch maybe two extra games each week. Still, that's a little over $3.00/game over the course of an entire season (not counting the replays of my favorite team which I'll probably watch several times). It's a stellar deal and is definitely worth it for the price. I learned the ins and outs of GamePass by signing up for their free trial. During the NFL Game Pass trial period, you will have access to all of the content that is available to paid subscribers. Game Pass offers their free trial throughout the year, so you can experiment with the service before making a buying decision. The only stipulation they put on trial memberships is that you won't have same day access to Thursday night games. Instead, you'll have to wait a full 48 hours to watch the replays. When you stack it up against other NFL streaming services, the GamePass price is much more affordable than similar streaming services. For instance, at the time I'm writing this article, the cost of NFL Sunday Ticket is four installments of $69.99. That's almost $300 for the entire season (roughly 200% more than GamePass). Of course, comparing NFL Game Pass vs Sunday Ticket isn't exactly fair because with the latter you get real-time streaming of all NFL games. Still, the price of NFL Game Pass compared to Sunday Ticket is fairly significant. If you have access to DirectTV, you can get NFL Sunday Ticket for free. However, if you don't have DirectTV and want to gain access to NFL Sunday Ticket, you'll have to sign a lengthy Direct TV contract. In the battle of NFL Sunday Ticket vs NFL Game Pass, the winner should be determined by your budget. Football fans on a budget can get access to the NFL Game Pass stream for a very moderate price. If you've got fat pockets and want the premium service, regardless of cost, Sunday Ticket is likely your best option. NFL Game Pass subscriptions are available for purchase all year long. But does the price of NFL Game Pass stay the same all year? The cost of an NFL Game Pass subscription gets lower as the season progresses. The Game Pass regular season price starts at $99.99. By mid season the price drops to $79.99. At season's end, Game Pass costs roughly $59.99. A month or two into the offseason, Game Pass would have cost you $49.99 (right around half of what you would have paid at the beginning of the season). For those of you that are only interested in GamePass for evaluating fantasy talent during the offseason, this could be a great time to sign-up. If you take advantage of the cheap off-season cost of Game Pass, be aware that the reduced price ends on July 31st. After this date, you'll have to pay the full amount ($99) to retain your subscription. The reduced cost is only applicable during the off-season. Yes, Game Pass offers a flexible payment plan that allows you to pay for the service in monthly installments. The catch is that you'll end up paying slightly more than if you paid in one lump sum. If you opt to pay monthly, you'll pay four installments of $29.99. All together it will cost you $119.96 compared to the one-time price of $99.99. So it's a few bucks more, but an excellent way to start enjoying games right away even if you can't pay the full up-front cost. If you search around the web, you might find a few sites that advertise an NFL Game Pass 2018 promo code or coupon code. Personally, none of these worked for me when I signed up for my account. You may have different luck, but to my knowledge Game Pass promo codes and coupons typically don't work. The only NFL Game Pass promo that I see advertised, and which I have access to as an affiliate, is the 7-day free trial. That's the best deal going if you'd like to try out the service for yourself. The NFL packages Game Pass according to viewing country. As such, plan features and plan costs will vary depending on where you watch games. You might be surprised (and maybe even a little bit upset) to learn that International NFL Game Pass plans allow for live streaming of every NFL game. On the contrary, NFL Game Pass live streaming isn't an option with the domestic package. So why would the NFL prevent its loyal fan base in the U.S. from streaming games live? In the immortal words of George Carlin: "Well, you're just going to have to figure that one out for yourself." The NFL Game Pass International cost varies by the country where you're consuming the service. For example, Game Pass subscribers in the UK might pay a different price than viewers in Germany. To determine the Game Pass International price for your country, you'll have to visit the official website to view each country's NFL GamePass pricing. To check if Game Pass is available in your part of the world, review the official country list. In this NFL Game Pass FAQ, I answer the most common questions posed about the NFL's flagship streaming service. Whenever possible, I reference official information from the NFL Game Pass site. NFL Game Pass works like any other streaming service. For a yearly subscription fee, you get on-demand access to NFL games (and lots of other football-related content) throughout the NFL football season. As with most streaming services, you can access the video and audio archives (and live preseason games) from an assortment of different devices and gaming consoles. Yes. NFL Game subscription includes same-day replays of regular season games, playoffs games, and the Super Bowl. The NFL Game Pass free trial period lasts for 7 days. During this time, you'll have most of the features that are available to paid subscribers. You can cancel your NFL Pass free trial at any time during this period and get a full refund. You can subscribe to the Game Pass service by visiting the official website. Once on the official website, select the payment option you prefer and subscribe. To determine if NFL Game Pass is worth, based on your NFL viewing habits, you need to ask yourself a couple of questions. First, will you use any of the non-game content that is available with Game Pass? Second, will you take advantage of the fact that Game Pass lets you stream live preseason games? Let's assume for a minute that you have no interest in any of the aforementioned features, and you only want GamePass for the replay of regular season and postseason games. How much would you pay to watch the replay of an NFL Game? We know that there are 267 total games in an NFL season. There are 256 regular season games and 11 playoff games. This means if you watched the replay of every NFL game, each game would be worth roughly $0.38. Not bad! But you won't watch every game replay. So let's look at how much it would cost you to watch each NFL game replay, assuming you only re-watch regular season games. These numbers also assume that you pay the full, preseason, NFL Game Pass cost of $99. What does NFL Game Pass cost for each game replay? Is NFL Game Pass worth it for you? I hope this data helps you to figure out that question. Yes, with Game Pass you get access to all NFL playoff games. However, the replay delay still applies to NFL Game Pass domestic packages. On the other hand, customers of NFL Game Pass International will have instant, live access to all playoff games. Life isn't fair. I know. For domestic customers, NFL Game Pass playoffs will be delayed just a bit. But again, you can't watch them all at the same time, so a minor delay isn't the end of the world. With an NFL Game Pass domestic subscription, you can only watch live preseason games. With NFL Game Pass International, you get live streaming of all NFL games. When are games available on NFL Game Pass? Game Pass replays are made available on the same day that the game was played. The amount of time you have to wait depends on the day and the time that the game was first aired. NFL Game Pass rules dictate that NFL preseason blackout restrictions also apply to GamePass viewing. Television blackout restrictions are the result of deals between the NFL and regional TV partners. The NFL agrees not to make live games available via stream so that their TV partners can enjoy the largest viewing audience possible. The goal is to generate more money from the advertisements during these broadcasts. For domestic customers in the U.S. and associated territories, the only live games available on Game Pass are preseason games. As such, blackout restrictions only apply to live preseason games. So if there is a national broadcast of a preseason game in your area, that game won't be available to stream live from NFL Game Pass. If you're an international viewer, the NFL Game Pass blackouts get much more convoluted because you indeed have access to live games all season long. For more information on blackouts, I advise you visit the NFL Game Pass website and look for blackout rules that apply to your country. Game Pass is optimized to run on a variety of devices including game consoles, phones, tablets, and televisions. For domestic Game Pass subscriptions in 2018, you can safely stream the service on a large array of devices. If you're looking for how to watch games on NFL Game Pass, then any of the devices listed below will deliver. Game Pass is also accessible through Airplay or Chromecast. For information on any other devices or International device support, see the official help page on device support. Game Pass isn't necessarily the best streaming service the NFL has to offer. However, it is by far the cheapest. Depending on the type of content you like to consume, NFL Game Pass may be worth checking out. I love using Game Pass to evaluate player talent before my fantasy football drafts. Others enjoy watching replays of their favorite NFL teams. Some people like consuming NFL content, but don't have time to catch every game live throughout the season. For these NFL games, Game Pass is an awesome and affordable way to ensure you don't miss any of the action.